The normal revelry of the HBMR didn’t materialise this year; mainly due to the subdued Mr Gorman opting for OJ instead of his normal tipple (his mood might have been affected by the service he received throughout the weekend). The FRAs were going to make up for this! The FRAs are a yearly 4-stage relay where all the big fell running clubs come to play. 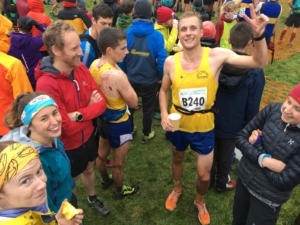 This year Ambleside AC were hosting the event in the hills surrounding Grasmere. Westies managed to cobble together 4 teams: 2 male, 1 female and 1 male V50 (our largest showing since the Westie’s Luss affair). 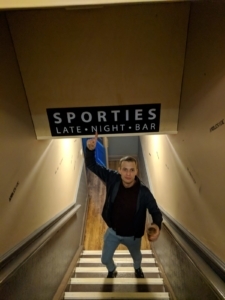 The week prior to the race was testing due to sniffles (James C – ran through it) and injury concerns (Gregor – recovered in time and Tom C – constant cripple thankfully subbed by Tom F) but in the end we patched together 4 strong Westie teams. Most of the Westies decided to make a weekend of it, heading down on the Friday, racing and then partying on the Saturday and a social run on the Sunday to conclude the proceedings. We opted to stay at the Ambleside YH which unfortunately doesn’t compare to the epic Patterdale YH but was adequate for our purpose. Tom P and I were the advance party, leaving with enough time to recce leg 2. The clag was down which made for realistic recce conditions. The rest of the Westies trickled into the YH late on the Friday night and crammed 14 Westies into 2 dorms. On race day the clag was down, anyone on the navigational leg was rightly fearful! 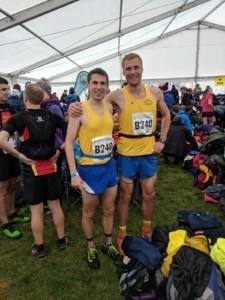 We were definitely the best represented Scotland club at the relay and hopefully this will continue.. Leg 1 was a solo affair, Gregor led the Westie contingent and finished in a respectable 26th (considering his injury concerns), followed by Dave D and Megan. The most notable runner of the day was Tom Finch, firstly for his late call up and secondly for helping an injured runner but still completing his leg. 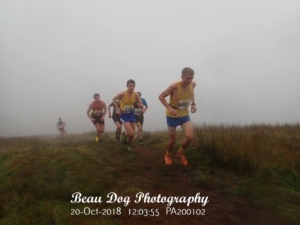 Leg 2 was the long paired leg that summitted Fairfield before descending over Cofa Pike which the organisers had expected to take the longest, Westies Super T runners Tom P and Will beasted over the hill gaining around 100 places! 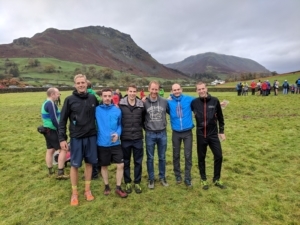 Leg 3 was the unexpected deciding leg, forecast to take 60 mins but in reality the fastest team took 71 mins, it also saw the fall from grace of the apparently untouchable Keswick AC guys dropping from outright leaders to 20th. 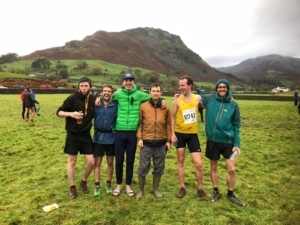 As soon as the fate of the Keswick runners made it to the field each team realised that anyone was fallible so the nervous wait began to see if your Leg 3 runners made it back in one piece. It transpired that all 4 Westies teams successfully navigated the leg and spent between 90 and 130 mins out on the hills! Leg 4 was another solo affair, resembling the Beinn Dubh race. Niall brought Westies Buckie home in 17th, James (with a sniffle) brought Westies Super T home in 100th, Don brought Westies 50 yr Old Malt, wi a Wee Splash of Water home in 130th and Sarah C brought Westies Wimmin home ahead of Carnethy Ladies in 172nd to complete the Westies compliment. Moment of the day: Shets Vets and Peter Mackie’s dibber toss! On Sunday we went for a leisurely jaunt over Helvellyn to ease the legs and settle the stomachs.. A great weekend in the lakes with 26 Westies. 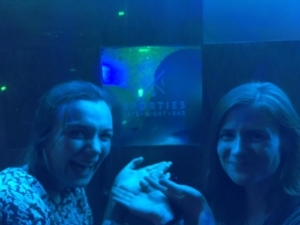 Hopefully we can at least match 4 teams for the FRAs 2019 in Sheffield! 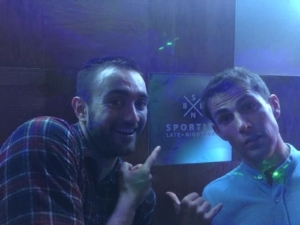 We will have to uphold our drinking crown…(maybe I’ll practice enough to join the team next year).